Stanford should have the Beavers outmatched in every phase of the game, but Bryce Love’s injury complicates things a bit. Oregon State’s rushing defense is giving up over 200 yards a game on the ground, which plays perfectly into the hands of the home-run hitting Heisman contender. According to Coach Shaw, Love is a game time decision and is not currently practicing, so he may not be able to take advantage of the porous Beavers defense. Still, Stanford should be fine. Backup Cameron Scarlett is more than competent, and the passing game is starting to come alive. I think that Love or no Love, Keller Chryst will have a big day throwing to JJ Arcega-Whiteside, Trenton Irwin and the rest of the wide receiver group. On the other side of the ball, the Stanford secondary will keep the Beavers from establishing anything in the pass game and should generate a turnover or two. Oregon State running back Ryan Nall will hurt the Cardinal a bit, but not enough to make any difference in the game. Stanford jumps on the Beavers early with the pass and melts the second half away with the run. No. 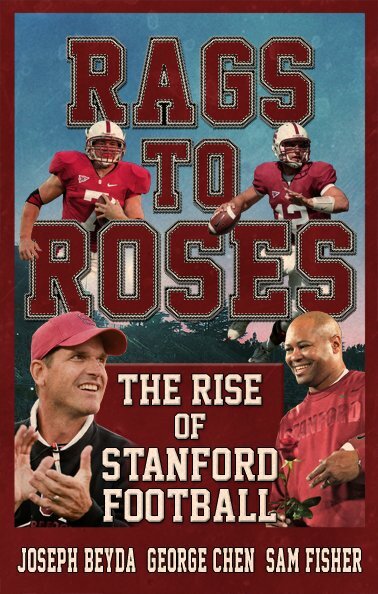 20 Stanford (5-2, 4-1) is coming off a bye week. They’ve won four consecutive games after tough losses against USC and San Diego State, and look much stronger with the powerhouse trio of Bryce Love on offense, and Quenton Meeks and Justin Reid on defense. Love continues to sit atop the national leaderboard in rushing yards per game, at just a shade under 200 yards per game, while Meeks and Reid have combined for eight interceptions on the year. Keller Chryst and K.J. Costello have also been playing better at the quarterback position as of late. In contrast, Oregon State (1-6, 0-4) is reeling. They’ve lost two quarterbacks in Jake Lutton and Seth Collins due to injuries and have an interim coach when former head coach Gary Anderson left the program unexpectedly. Stanford is ranked 11th in the PAC-12 in passing yards per game, and the defense leads the conference with a plus eight turnover margin. The Beavers, on the other hand, have a negative eight turnover margin. While this game could be considered to be a dreaded “trap game” with much bigger games ahead on the schedule in Washington State and Washington, I expect Stanford to continue its powerful play and cruise to a 38-14 victory. Let me preface this by saying that I’m basing this score on the belief that Bryce Love will be fully healed and good to go by the time Stanford plays on Thursday night. Oregon State has one of the worst rush defenses in the country, ranking 100th in the NCAA, and a healthy Love can take advantage of that and put up some of those 50+ yard runs he’s become famous for. Speaking of rushing, Stanford’s rush defense is also questionable, and Oregon State’s running back Ryan Nall put up good numbers against Colorado. While the Beavers have yet to win a game in the Pac-12, their loss against Colorado was very close and the best they’ve looked all season. Interim Coach Cory Hall could be the spark this team needed. I still expect Stanford to win, but Thursday night games on the road are rough, and this game might be closer than we think. Contact King Jemison kingj ‘at’ stanford.edu, Matt Bernstein at mbernste ‘at’ stanford.edu and Ariana Rollins at arianar ‘at’ stanford.edu.